Ian Power, from the town of St John's began queuing at 20:00 local time so he could "make history". Newfoundland is half an hour ahead of the next province to the west. 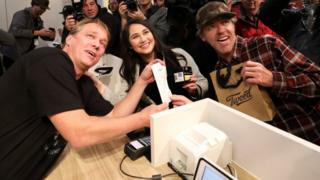 "It's been my dream to be the first person to buy the first legal gram of cannabis in Canada, and here I finally am," he said. Canadian provinces and municipalities have been preparing for months for the end of cannabis prohibition. They are responsible for setting out where cannabis can be bought and consumed. This has created a patchwork of more or less restrictive legislation across the country. How ready is Canada for legal cannabis? Ontario, Canada's most populous province, will only begin opening retail stores next spring, though residents will be able to order cannabis online. 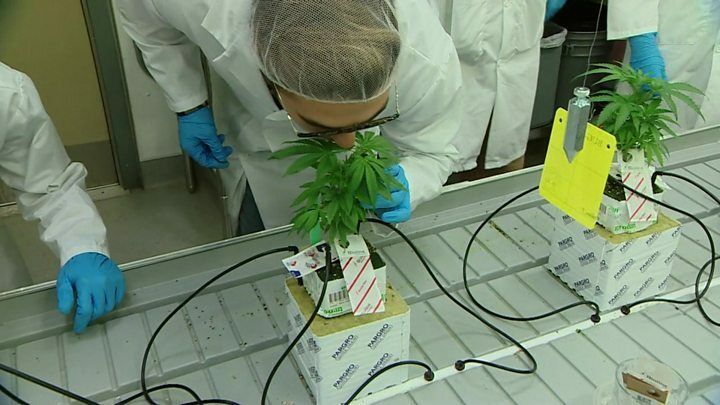 Legal pot has been an inescapable topic for months in Canada, as governments and companies prepared in earnest for 17 October. That day is finally here, and Canadians will learn just how much - or how little - the new framework will change the country. But this is not just a domestic affair. A measure of success - whether legalisation will be a win for Prime Minister Justin Trudeau ahead of the 2019 federal election - will depend on whether it meets his stated goals: restricting access of the drug to youth - who are among the heaviest users in Canada - reducing the burden of cannabis laws on the justice system, and undercutting the illicit market for the drug. What is the situation elsewhere? Medical marijuana is also gaining ground in many European countries. Portugal and the Netherlands have decriminalised the drug. South Africa's highest court legalised the use of cannabis by adults in private places in September, though the sale of the drug remains a crime. In April, Zimbabwe became the second country in Africa, after Lesotho, to legalise the use of marijuana for medical purposes. 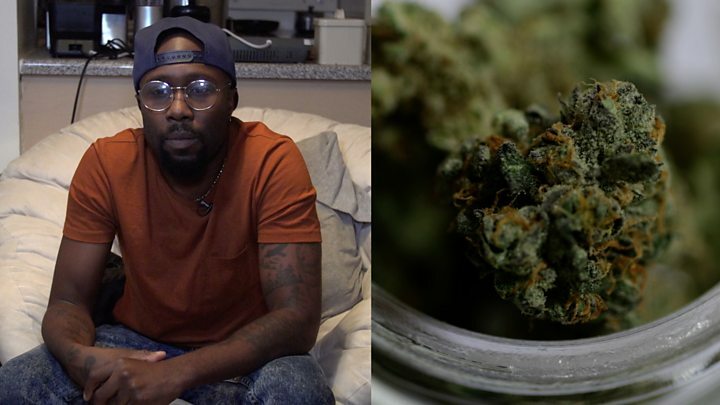 Reality Check: Has cannabis legalisation in some US states led to more users? Nine US states have legalised recreational marijuana use while many more allow its use on medical grounds. On Monday, the Canadian Medical Association Journal published an editorial calling legalisation "a national, uncontrolled experiment in which the profits of cannabis producers and tax revenues are squarely pitched against the health of Canadians". On Wednesday, government officials announced they will present legislation intended to fast-track pardon applications of people who have been convicted of possession under 30g (one ounce). There are currently some 500,000 Canadians with existing criminal records for possession. On Tuesday, the US Customs Border Protection Agency said border guards will have "broad latitude" to determine who is admissible to the country. Border guards may ask Canadians if they smoke cannabis, and deny them entry if they believe they intend to do so in the US.